Gotham: Easter Eggs and DC Comics References in "The Mask"
This week on Gotham, there were two fairly massive DC Comics references introduced for the first time -- and not a whole lot of seeding the smaller ones we usually see week in and week out. 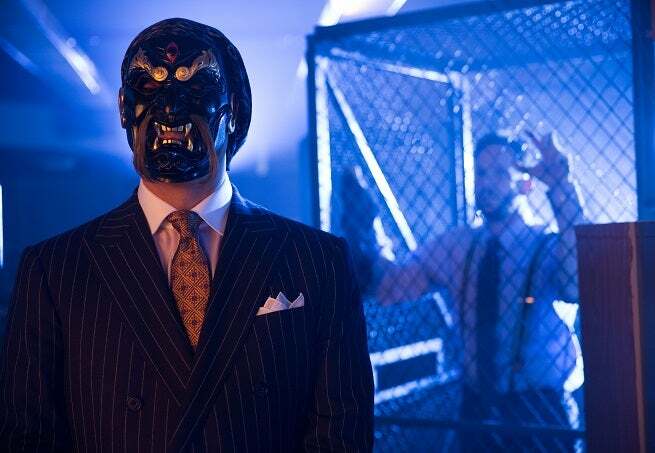 The episode revolved around the introduction of The Black Mask (or rather, his father), and introduced a classmate of Bruce's -- Tommy Elliot -- a name many comic book readers will recognize as well. This one's a long shot -- but Arrow and The Flash have trained us to look for street and business names that could be familiar -- especially if it's the name of a comics creator. Here, we're thinking of Al Anders, a golden age DC artist...although he's a pretty obscure reference to be making and so it's very unlikely. As noted in the comments, this was a huge and obvious one to miss, but we kept waiting for a name-drop that never came. The doctor who's operating on the mobsters in the episode is almost certainly the Batman villain Crime Doctor. Bradford Thorne began his career setting up an illegal clinic for injured gangsters, although he later expanded his enterprise to become a super-villain specializing in torture. Yep. 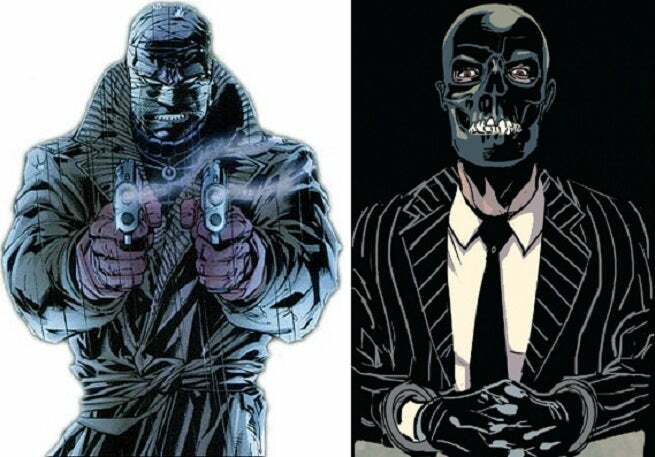 This is indeed The Black Mask! When people saw the title "The Mask" and early promo images of the villain, many fans assumed it would be Roman Sionis. That he had a slightly different backstory and a different first name doesn't change the fact that it's obviously a similar premise that's been set up. In the comics, Roman is a character who lost his fortune through bad business sense -- possibly something that Jim winks and nods at a bit when he chastens the elder Sidonis that success in business isn't about being a warrior -- but about being a good businessman. ...And that's Hush. It's probably no coincidence that his introduction was juxtaposed against all the surgery and medical stuff in this episode. In the comics, Tommy Elliot is a childhood schoolmate of Bruce's who was actually friends with him. Brilliant and ambitious, Tommy often played strategy games with Bruce, and later gained access to his family fortune by cutting his parents' brakes, causing their deaths. A dark reflection of Bruce as an orphan, Tommy eventually grew into Hush, a villain whose first appearance saw him teaming with The Riddler to recruit other villains to help them go after Batman. Neal, maybe? It's hard to hear "Adams" in a Batman story and not think of the great artist who helped to visually redefine the character in the '70s and remains one of the greatest Batman artists of all time.